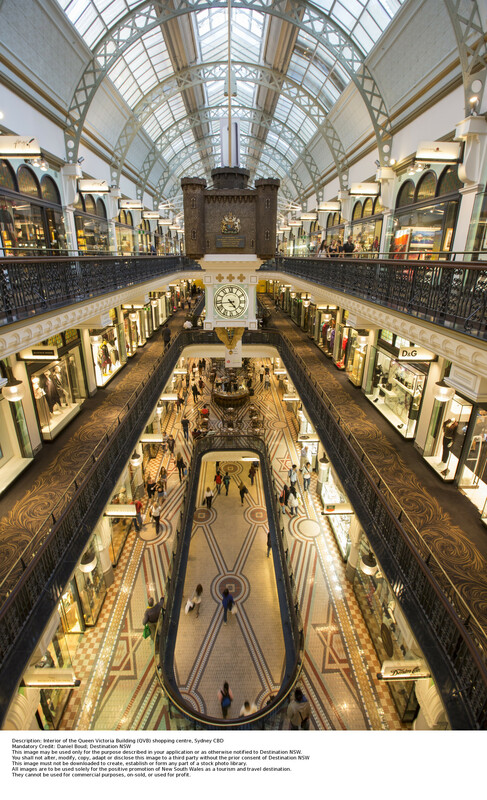 There are many fabulous shopping malls in the city centre, all with distinct personalities, but possibly the most exclusive is the Queen Victoria Building - affectionately known to locals as QVB. It has been lauded as the most beautiful shopping centre in the world by none other than Pierre Cardin, a man who knows a thing or two about good design! Much like Covent Garden in London, QVB started life as a market. When you walk through the doors today and see how beautiful this building is, you won't believe horses once trotted through here. Now it's a Mecca for shoppers, with over 190 shops and boutiques. 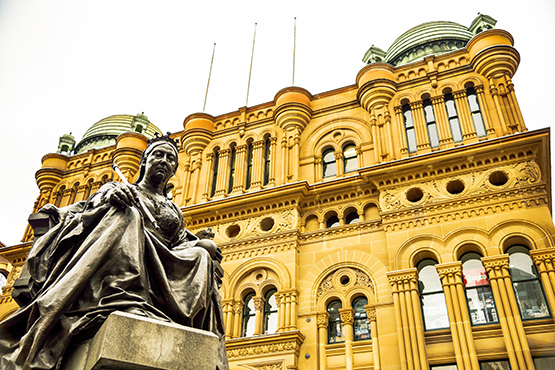 Experience the history and grandeur of the Queen Victoria Building with a guided tour. 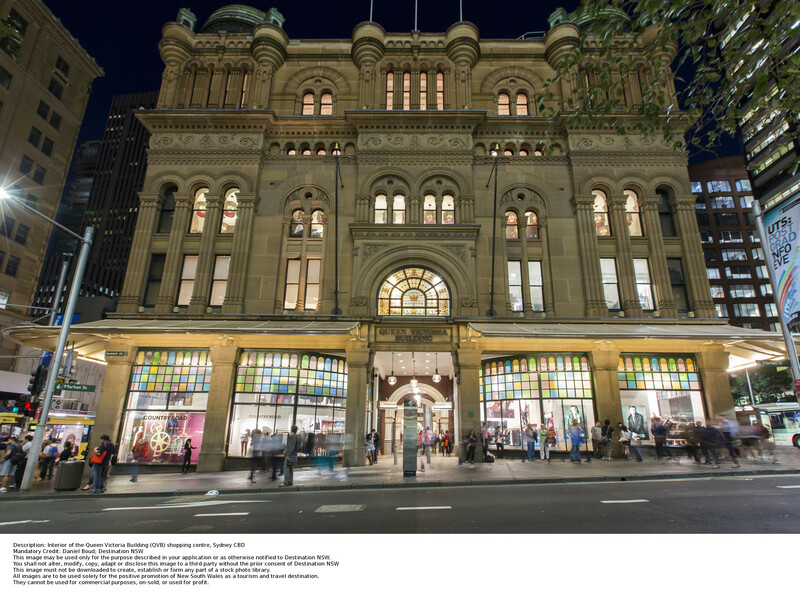 Learn about the fascinating history of the building from design and conception, through its life as Sydney Markets, its refurbishments and life today as a bustling shopping centre. Admire the gorgeous architecture featured throughout the building with the majestic central dome, glorious stained glass windows and clocks as your major highlights. This is the perfect activity for a rainy day in the CBD. Bookings are essential for this guided tour. The tour lasts about 45 minutes. Tours run on Tues, Thurs, and Sat at 11.30am. The premises is closed on New Year's Day, Good Friday, Easter Sunday, and Christmas Day. 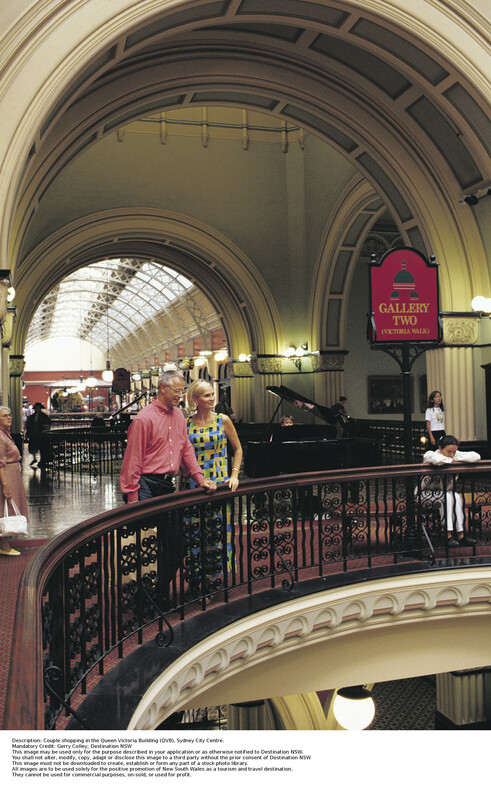 You’ll probably want to go shopping in the QVB after the tour so check out the store directory and dining guide. The QVB has a range of accessible services. There are disabled bathrooms located on the lower ground floor near the security office. A parents room is also located here. There are lifts at the north and south ends of the building as well as the centre. Wheelchairs are available for hire at the security desk. Town Hall Station is so close to the Queen Victoria Building that one of its exits opens up into the building. You can also take the bus or walk from Circular Quay. 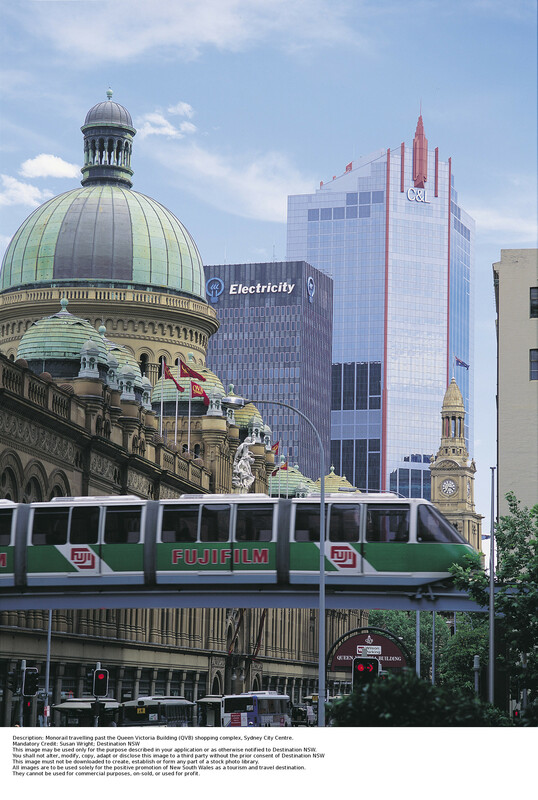 For timetable information, you’ll want to visit Transport NSW.